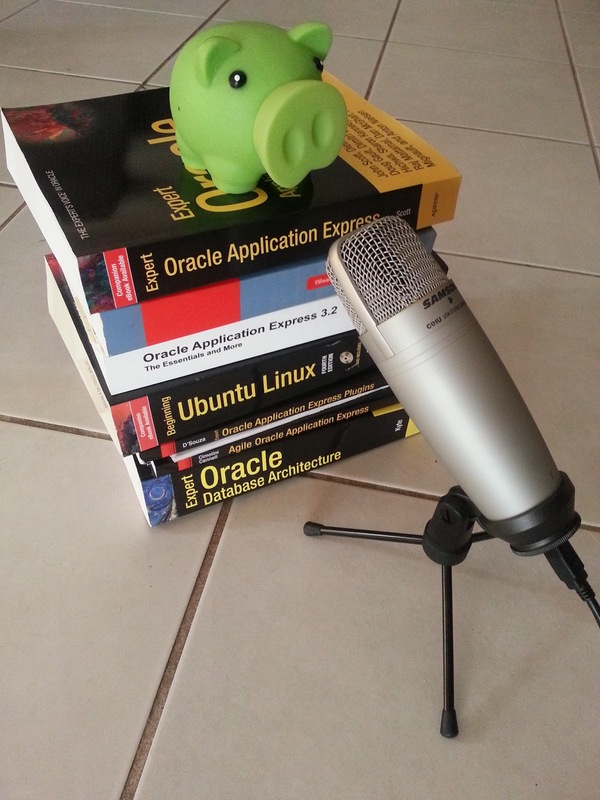 I'm happy to finally announce a project this little green pig was assisting me with last year - a video series on Oracle Application Express techniques, published thanks to Packt Publishing. 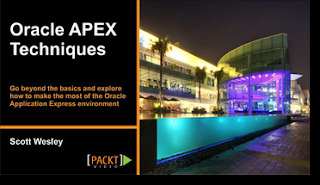 The course targets new to intermediate APEX developers who have a general understanding of SQL and PL/SQL, and is based on APEX 4.2. The course is 8 sections of 5 videos, each about 3-4 minutes each. The videos are screencasts from my laptop, with my voice describing what's happening on screen - very similar to a webinar. Check out this sample clip looking at Interactive Reports detail view. 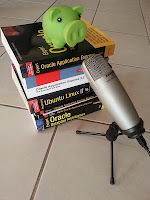 After having read a number of technical books and heard from other authors regarding the work involved, I can certainly say it was an interesting project to be involved with. I would love to include many other techniques I've acquired over the past six months in addition to the wealth of information that's out there - but we only had a limited number of minutes available - they sure add up quickly! So if you're starting to learn Oracle Application Express; or you've been using it for a while and you're wondering if you've missed anything useful - you might like to consider this video series. I hope you find it valuable.